I’m Óli. I come from Iceland but living in Sweden since 1997. I have been a professional chef for the last 30 years. Good friend of Gina and we are working on a food project in Virginia Beach. * Graduated 1981 from Ester Mosessons culinary school in Gothenburg. 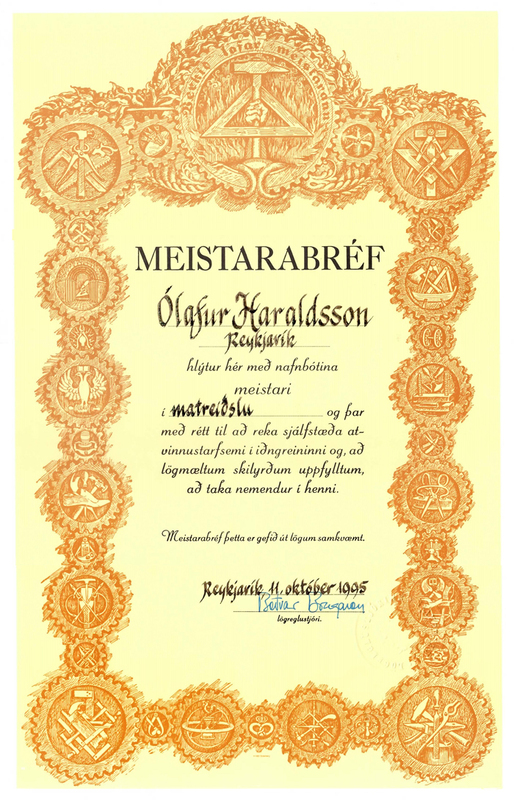 * Graduated 1988 as a Chef from Hospitality and Culinary School of Iceland, Reykjavik. * Got my Masters degree in Cooking 1990. Hello oli, What a great site is this. Thank you for the link. It is a pleasure for me to look at it. Great recipes and great pictures. you will hear more from me. Great site, recipies and pictures, looking forward to see more. All the best wishes with the book. Hello Oli, What a nice time we had at Rosie Mc Gee’s. Talking to you was really fun. Just those things we had in common. Margreet and I had a big laughter drinking our beers and listening to your stories. What a guy! I’m goin’ to read this blog, a quick read isn’t good enough I’m gonna dig into this! You were quite a couple. We had great time in Copenhagen. I am glad you came home to Nederlands ok. I have been busy here in Iceland since I came but things are slowing down now. I am glad you like the blog. In the right corner you can add your email and then you get a mail when we publish something. Today or at latest we will pulish how to do Puff Pastry and also Palmiers. In the week my daughter will guest the blog with her Toblerone Chocoladmousse. Feel free to comment what you like or even dislike lol and absolutly let me know how it goes if you make something from the blog. Its snowing in Reykjavik now and its exactly as it should be this time of year ! best regards to you and Marggreet and cheers !